 When Mrs. Limestone asked me to be a guest blogger, it put me in a tizzy. I live in an apartment in Los Angeles, where, as New Yorkers will tell you, nothing is old. Add to this the fact that I can’t touch Mrs. Limestone with a ten foot pole when it comes to design, and that leaves me with the one subject I feel I can speak on with some authority – the kitchen. More specifically, spices. If you’re like most people, you buy spices from the supermarket, maybe from Costco, and they’re in a million little unattractive jars that take up space in your cupboard and always migrate to the back of the pantry. The jars don’t stack well, they tend to fall over, and if you really like to cook, the space they take up is nothing short of depressing. However, there are several attractive ways you can store or display spices and dried herbs so that they actually add to the decor of your kitchen. When I first had my own kitchen, I stored my spices in this antique spice rack given to me by my mother in law. Similar spice racks or reproductions can be found on ebay, and if you only use a few spices, they are an attractive and spatially economical way to store them. There are downsides, though. First, the jars that come with the spice racks aren’t always airtight, and light shining through clear glass can degrade the spices. You can solve this problem by storing the spice rack away from the light, making sure the lids fit tightly, or purchasing new matching jars from a retailer such as the Container Store or Specialty Bottle. Second, round measuring spoons often don’t fit in the narrow necks of typical spice bottles, so look for containers with a wider neck. If you run up against the second problem, namely, that spice racks like this typically hold up to a maximum of 20 different herbs and spices, then its time to get creative with your spice storage. Deb of Smitten Kitchen, uses the open shelving in her New York City apartment kitchen to put her spices proudly on display. She purchased identical containers from them (containers available from both sites I linked to above) and printed labels to give them a uniform appearance. The nice thing about these tins is that they protect the spices from moisture and light, which will extend the life of your spices. They’re also wide enough to allow a round measuring spoon to fit comfortably in the neck. And they’re very similar to the spice tins sold at Dean and DeLuca, the chichi Soho food retailer, so if you happen to have spices from there (as Deb does) yours will blend right in. I, sadly, do not have any open shelves in the kitchen, and so my spices live in an apothecary chest. There aren’t a lot of things that fit comfortably in the tiny drawers (and I admit, the idea of an apothecary chest filled with spices appeals strongly to my somewhat overdeveloped sense of romance) but they hold my spices (in the same tins that Deb uses, coincidentally, but labeled on top) perfectly. I do recommend purchasing your spices in bulk (by which I mean small bags rather than overpriced jars) from a retailer with a high turnover to ensure freshness. My favorites are Penzeys and The Spice House, but if you are in NYC I can recommend Kalustyans, and several organic stores or food co-ops also sell spices in bulk. Mix 2 T honey, 1 t ground ginger, and 1 c. powdered sugar together in a bowl. Add water until the icing is at a spreadable consistency, and spread over the cooled cookies. Cut with a pastry cutter or pizza wheel. It will take several hours for the icing to become firm enough to transport, so plan accordingly. Yippee! I have all the ingredients in my spice drawers so I'll go bake Chai bars to cheer up a dull, cold NY Monday. Thanks for the recipe. I never thought I'd need an apothecary chest in my kitchen. Where can I get one of those wheelie gadgets? I think I need one. The recipe looks great, too. Great idea for spice storage. Thanks for the recipe. Will have to try it soon. It looks yummy! What is that gadget you are using? I think I need one for myself! I can't wait to try these bars! I'm a little late posting this, but... just wanted to let you know that I made these for an Asian-themed baby shower I threw a few weeks ago. They were AWESOME. I'm not usually a fan of 'spice' type flavours, but I could not keep out of these, and neither could my husband. A very big thank you for a keeper of a recipe! I made these yesterday and they are now...almost gone. I'm going to do a step by step review of them on my blog. SO. GOOD.